In a new partnership between open-access Biodiversity Data Journal (BDJ) and workflow software development platform Profeza, authors submitting their research to the scholarly journal will be invited to prepare a Reuse Recipe Document via CREDIT Suite to encourage reusability and reproducibility in science. Once published, their articles will feature a special widget linking to additional research output, such as raw, experimental repetitions, null or negative results, protocols and datasets. A Reuse Recipe Document is a collection of additional research outputs, which could serve as a guidelines to another researcher trying to reproduce or build on the previously published work. In contrast to a research article, it is a dynamic ‘evolving’ research item, which can be later updated and also tracked back in time, thanks to a revision history feature. 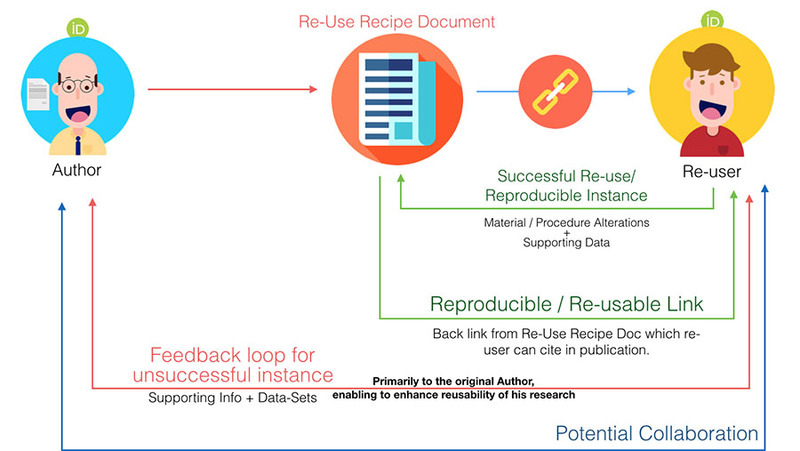 Both the Recipe Document and the Reproducible Links, which connect subsequent outputs to the original publication, are assigned with their own DOIs, so that reuse instances can be easily captured, recognised, tracked and rewarded with increased citability. With these events appearing on both the original author’s and any reuser’s ORCID, the former can easily gain further credibility for his/her work because of his/her work’s enhanced reproducibility, while the latter increases his/her own by showcasing how he/she has put what he/she has cited into use. Furthermore, the transparency and interconnectivity between the separate works allow for promoting intra- and inter-disciplinary collaboration between researchers. “Our partnership with Pensoft is a great step towards gathering crucial feedback and insight concerning reproducibility and continuity in research. This is now possible with Reuse Recipe Documents, which allow for authors and reusers to engage and team up with each other,” says Sheevendra, Co-Founder of Profeza.